We have a workshop coming up on Saturday March the 7th 2015 at Bamford Haybarn Spa in Gloucestershire, a full day of exploring different mindful eating practices in a welcoming and supportive environment. The theme of day is around Mindful Eating, Mindful Living, and the workshop will be an opportunity to step out of the busyness of everyday life and to gently focus ourselves on bringing back enjoyment and ease to our day-to-day experiences around food. We will be spending the day in the lovely, light-filled studio at the Haybarn Spa, the perfect environment to explore our eating experiences and habits in a spacious and unhurried way. Lunchtime will be the opportunity to put it all into practice and experience a mindful meal, away from distractions and hurry. These meals are a favourite part of our workshops and normally we ask everybody attending to bring a dish to share. This time we are doing things differently and lunch will be provided by the award-winning Daylesford Farm Shop next door - it should be a real treat, and means that all you’ll need to bring on the day is yourself. I'd love to see some of you there! The workshop finishes at 4pm, so plenty of time to pick up some goodies to take home from the Farm Shop next door. 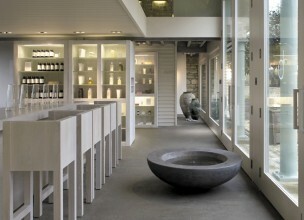 More information about the Haybarn Spa and Daylesford Organic Farm on their websites. There's a full description of the Mindful Eating Mindful Living Workshop on the Haybarn website. The workshop will run from 10.15am to 4pm and the cost is £120.